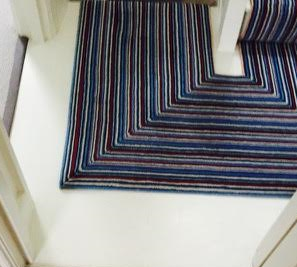 Customer Request: Custom Design Wool carpet, supplied and fitted as a stair runner. 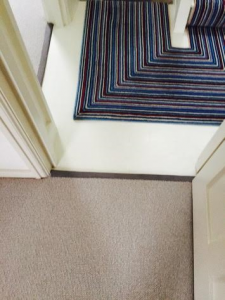 Fitting Process: A high level of skill and fine attention to detail was required from our expert fitter for this application. 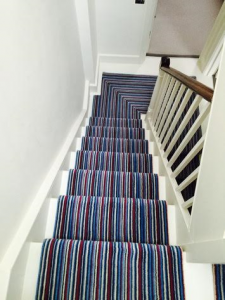 In order to keep the stripes flowing in the right direction around the bends of the stairwell, the carpet had to be precisely cut and seamed into the perfect position.